Here is a image capture of OHS and HWY 65. 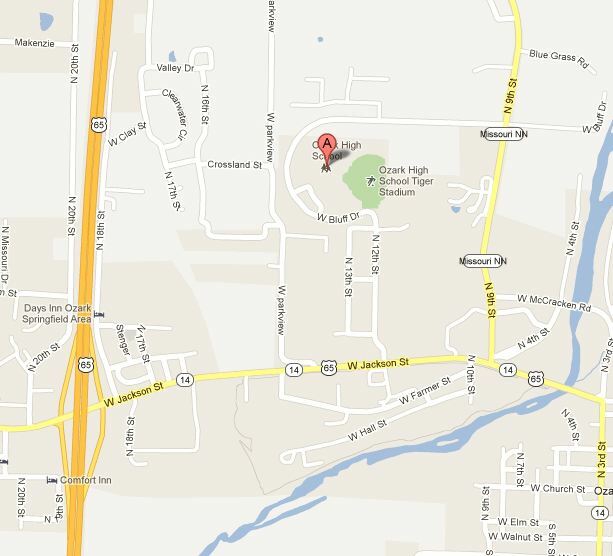 Also, here is a link to find directions via Google Maps. The Grass Soccer Fields are on the very Western side of campus. It sits on top of a fenced in high ground. Below is a small amount of parking. Please do not block the drive that leads to the West end parking (see field layout map) and please do not park on the road that leads down to the parking lot. You may drop off your items and riders at the ramp, but please be courteous to others and do not park your car so that it blocks others. We will have parking attendants on the site to help direct traffic.